Clean cutting due to a solid nonslip table. 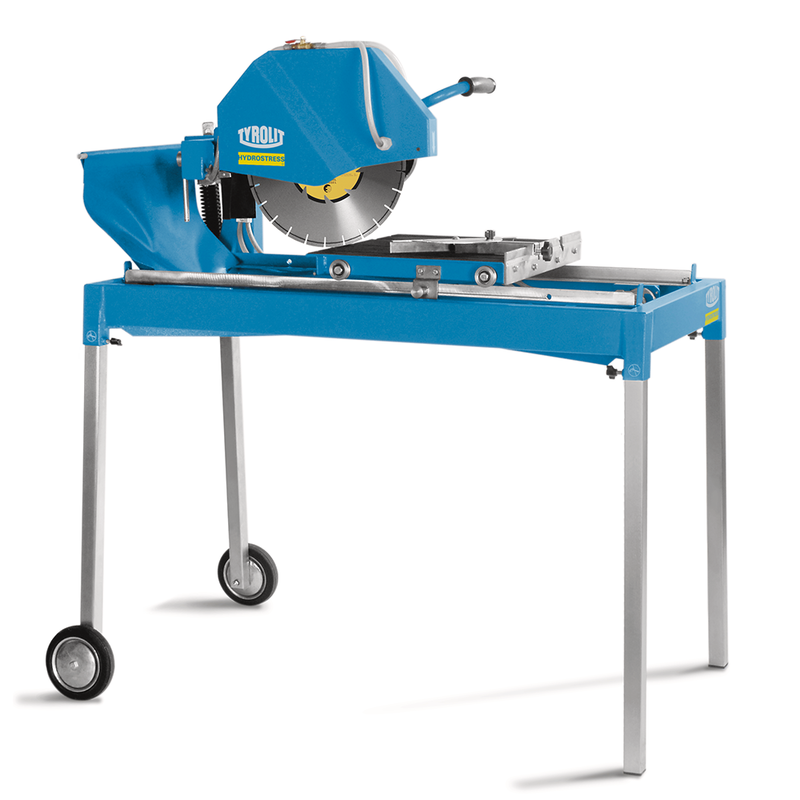 Swivelling saw head allows 45° Mitre Cuts. Robust wheels for easy transport. Continuous tool cooling and minimal amount of service work due to the location of the water pump. Centrally located emergency stop switch. Includes an angle stop for 30° to 90° cuts.